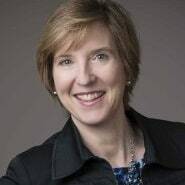 There is perhaps no phrase that can more accurately define Carla Smith’s objective as Executive VP of HIMSS, where she has spent the past 16 years working to ensure that the right information is available to the right people at the right time to make the right care-related decisions. Through initiatives like innovation hackathons, educational sessions on diversity in leadership, and many others, Smith is determined to leverage the knowledge that exists everywhere to improve the way care is delivered and create a better working environment. It’s the driving force in everything she does, and it’s what has made her one of the most influential leaders in health IT. In this interview, we spoke with Smith about what her team is doing to foster innovation and create a better way to benchmark it, and what the results of HIMSS’ compensation study tells her about where we are as an industry, and where we need to go. She also talks about the misconceptions that arise during salary gap discussions, and the qualities she believes CIOs will need to succeed, both now and in the future. At the end of the day, if those technologies and those workflows don’t work for patients, their families, and their caregivers, it is a waste of resources. Not only can that be frustrating, but it can result in harm. Technology is a small percentage of the solution. The major parts of the solution are the human dynamics and the human interactions. You’ve got to have your systems and your workflows, but it’s also about people. This is one of the most challenging and emotionally gut-wrenching time a family will face, and it’s ripe for innovation. But it has to be done right. Gamble: Hi Carla, thanks so much for taking the time to speak with us today. You’ve been in your role for several years. Can you talk about what are your key priorities right now? Smith: In my role, I’m focused on the value and best use that digital health technologies can offer to both health and care. What I mean by that is maintaining health — how can digital technologies help people maintain their health, or help those who are the primary managers within a family? For example, how can digital technology help parents keep their families healthy? On the care side, it’s ensuring that the right information is available to the right people at the right time, to help them make the best informed decisions. And, by the way, doing all of that without breaking the bank. 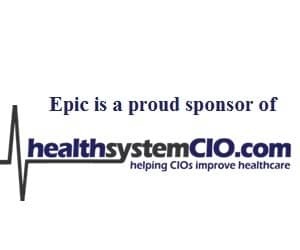 And of course the other major focus in my role is overseeing the HIMSS Annual Conference. Gamble: Right. Now, when you talk about ensuring that the right information is available to the right people at the right time, that’s a broad concept. Are there specific ways in which you’re looking at that? Smith: There are multiple components to that, because you’re right, it’s a broad statement. But it’s also an aspirational statement. It’s a worthy goal to work for. From my perspective, there are a few main components. One is cybersecurity; making sure the bad guys are kept out, and that the well-intentioned but uninformed get the education, protocols, practices, and training that they need to keep health information safe and secure. The second area is around user-centered design. At the end of the day, if those technologies and those workflows don’t work for patients, their families, and their caregivers, it is a waste of resources. Not only can that be frustrating, but it can result in harm. And so user-centered design principles around technologies and workflow is really important. And of course, we need to ensure that information is available. When we talk about interoperability, we’re talking about getting to a place where we have ubiquitous, secure, electronic exchange of health information going to the appropriate people. Finally, there’s innovation. We’re paying close attention to where investments are going in this space. There’s a lot money coming in, and there are some very innovative ideas. We’re focused on understanding those innovations and knowing when to pay attention to them, how to apply them and test them out, and how to support the best and the brightest ideas. We’re doing a lot of work in that area. Gamble: I’m glad you mentioned innovation. One thing we hear often is that innovation doesn’t necessarily have to involve a new technology or tool, but can simply mean a different way of solving an issue. Is that something you’ve found? Smith: I agree. I’ve seen for the past 20-plus years now that technology is a small percentage of the solution. The major parts of the solution are the human dynamics and the human interactions. You’ve got to have your systems and your workflows, but it’s also about people. You have to work toward a consensus and build buy-in. And if you do that, you’ll have a much greater chance of achieving success. I’ll give you an example. A few companies have entered the market that focus on end-of-life planning and advanced care directives. This is one of the most challenging and emotionally gut-wrenching time a family will face, and it’s ripe for innovation. But it has to be done right. For digital health technologies to be able to have a positive impact on those situations and enable families to focus their attention on the needs of their loved one, the technologies have to work for that situation. They have to take into account the emotional fragility, the physical limitations, the bandwidth, the financial challenge, and the stresses that the family is dealing with. And there’s the clinical community as well — if there’s a way to involve hospice and emergency responders, that makes it even more helpful. So that’s just one example of an innovation that’s very exciting, but in order to succeed, we need to embrace the human dynamics around it. Gamble: So then the question becomes how innovations can embrace that human dynamic. Smith: Exactly. How do you do that? HIMSS is approaching that in a few ways. We host competitions throughout the year. We host hackathons, business plan competitions, and early stage competitions. We publish clear criteria on what we’re looking for, and we bring together judges and widely disseminate the opportunities. And there are prizes at the end — monetary prizes, mentoring prizes, presentation prizes, those types of things. So we build around these various use cases and we support the winners. Because HIMSS has quite a bully pulpit, we use our voice to highlight some of these best and brightest ideas. We give them opportunities to do an educationally-focused session at a HIMSS event or a webinar. We provide mentoring to them for a period of time, maybe six months or a year, from people that are very well-seasoned in our space and want to give back to the next generation of up-and-comers. So we build these use cases around current needs. We just finished one where we partnered with ONC on a patient data-matching challenge. How do you make sure you have the right patient? My name is Carla Smith — in my primary care clinician’s practice, there are three of us. Three Carla Smiths. So it matters if you’ve got the right person. We just did that challenge, and we’re doing one right now with the Cleveland Clinic around innovative companies. Those are some examples.